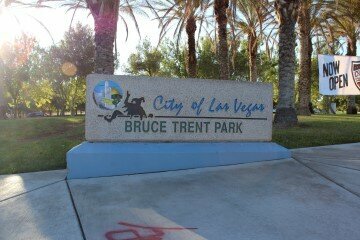 Bruce Trent Park ~ With Love and Co.
Bruce Trent Park is a spectacular host of the Wednesday night Las Vegas Farmers Market. It has many amenities and is a great place to spend some quality time with family. There is plenty of open space and places to have a picnic, throw down a blanket, let kids be kids, and enjoy the music. The Farmers Market hosts few musicians generally lead by Joe Foresman and is the perfect compliment to an evening of family, vendor food, unique items. Let’s not forget, the two water elephants spraying water as the kids run through the spray. Absolutely the best. So, come out and make sure you stop by the With Love LV booth. We will introduce you to our friends and ensure you have a great time.